Head coach of the Super Eagles, Gernot Rohr, has admitted that he would be banking on Chelsea wingback, Victor Moses, at the 2018 World Cup in Russia. Rohr says he is a fan of Moses’ versatility, which sees him play in different positions. According to the German coach, the 26-year-old was the most impressive player in his squad through out the qualifying series. “The most impressive player in my team is Victor Moses. He is fast, quick in football and I hope he will not get injured before the World Cup in Russia. I have absolute confidence in him. “For the World Cup, we must build a better team more than better than the qualifying team if we are to do well at the global stage. 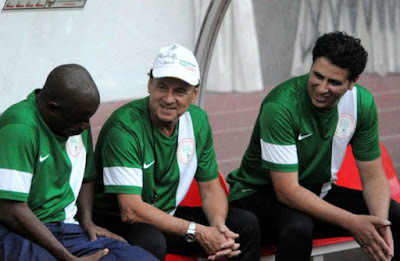 I also need the experience players,” Rohr said. Moses was the top scorer for the Super Eagles, as they became the first African country to qualify for next year’s tournament.